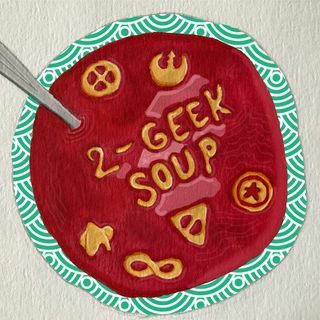 Ep 25 Two and TWO Halves Geek Soup??!?! Reed Lackey from The Fear of God podcast is back, and this time he's brought along his son Sawyer! They join Caleb and I to talk about Ant-Man and the Wasp. The movie is good! The kids are cute! Reed learns new words! Also, Joshua returns for an Understand a Random Fandom segment about Skylanders, and Guaranteed Good News is extra chunky!